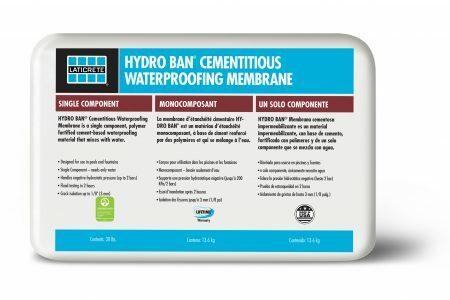 “Laticrete recently introduced Hydro Ban Cementitious Waterproofing Membrane, a single-component, polymer-fortified cement-based waterproofing material that requires only water for mixing, resulting in a faster preparation process.” Get the full story on Floor Covering Installer‘s website. 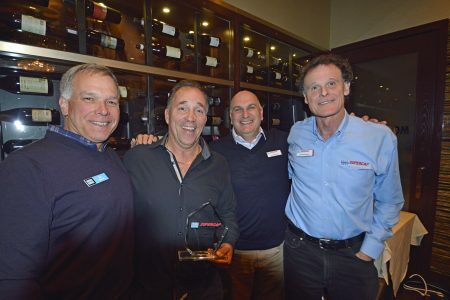 “Laticrete recently celebrated top Laticrete Supercap self-leveling underlayment (SLU) applicators with its second annual Applicator of the Year and Spirit of Supercap Awards. 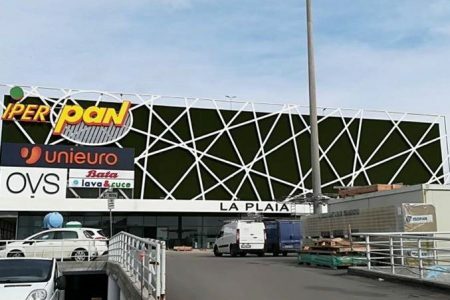 “ Get the full article on Floor Daily’s website. Tamara Day, host of hit TV show Bargain Mansions, gives audience members a recap of each episode which includes the products that went into bringing each project to life. Included in completing this beautiful bathroom were LATICRETE products. Visit Growing Days‘ website to get the full post. 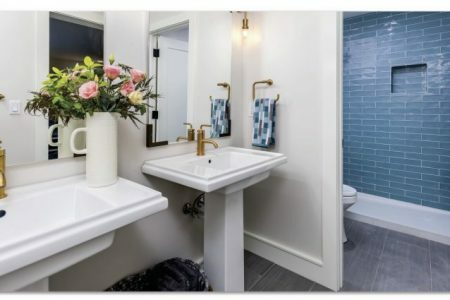 Tamara Day, host of the hit DIY Network and HGTV show Bargain Mansions, gives a recap of each house on her blog. 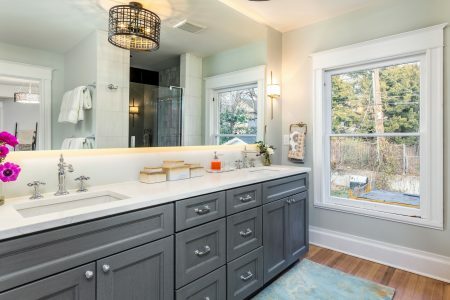 LATICRETE products were used to create this gorgeous bathroom. Get the full recap on the Growing Days website. 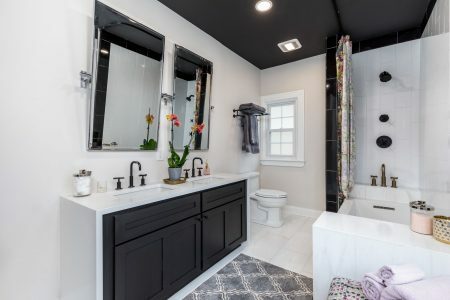 PERMACOLOR Select AnyColor is featured amongst the latest trends and technology in the tile, stone and flooring industry that were on display at SURFACES. 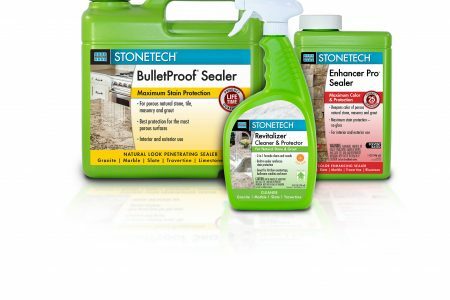 Read more about this at Houzz.